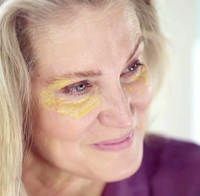 As we age, we begin having problems with having dry and irritated eyes, along with the skin areas around the eyes. Our eyelids become wrinkly and itchy, and we start seeing those annoying dark circles under our eyes. As this issue becomes even more noticeable with age, we begin to looking for eye treatment option that is all-natural and effective in eye care. Several eye care products found in Sephora, Walgreens or CVS, do not properly moisturize your eyes and the surrounding areas, neither they make the dark circles disappear. Many people who have used such over-the-counter treatments have in fact reported that these problems actually worsened after the use, resulting in irritated skin and rashes around their eyelids. 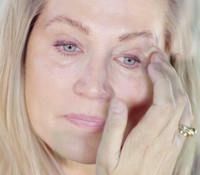 Many of those have given up to find an effective and natural eye treatment and have resigned to live with itchy and dry eyes, eyelids, with dark circles underneath. That is because they have never come across the Ajara Complete Eye Care Ritual Set. 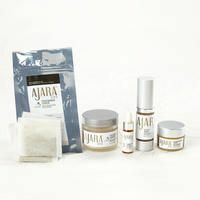 Ajara Complete Eye Care Ritual Set is an unique Ayurvedic eye treatment product meant to moisten, rejuvenate, cool down, and bring comfort to the eyes and the surrounding areas. It offers a ritual of 4 steps (1) SOAK using Cucumber Lotus Rejuvenating Eye Mask, (2) FORTIFY using Pearl and Honey Brightening Powder Mask, (3) TONE using Tulsi Mint Tonifying Gel and (4) REPLENISH using Sandalwood Rose Eye Butter. 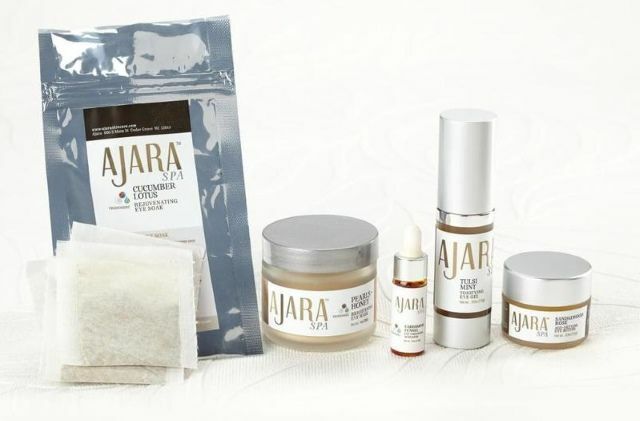 What Is The Ajara Complete Eye Care Ritual Set And What Is Its Purpose? The Ajara Complete Eye Care Ritual Set is the only Ayurvedic eye care set which involves an easy 4-step process that will bring that bring that light and shine back into your eye. And, will also bring that life back to the surrounding areas such as your eyelids, and the areas underneath as well. This product will help you restore your youth in your eyes and the surrounding areas, as well as the cooling comfort that you will love. This Ayurvedic eye care set will help remove dark circles underneath your eyes, moisten, rejuvenate, and remove any uncomfortable dryness and itchiness. Included in the set is a cooling toning gel, and it features a soak that is very relaxing that will cool down and remove the stress from your eyes. Additionally, this set includes a mask as well as an activator that features a precious mineral gemstone which is the main ingredient of this product. Not to mention, you will have an elixir that is potent, and that will nourish your eyes and the surrounding areas with powerful Ayurvedic ingredients. Let's now take a look at the key ingredients of the Cucumber Lotus Rejuvenating Eye Mask or Soak. ● Red rose petal powder - an excellent herb for treating and healing any type of skin irritation, and it contains many antioxidants that will repair any damaged cells. Additionally, it will also help ward off infections and can heal wounds and cuts easily as well. That is because it also contains antiseptic properties. ● Lavender flower powder - offers calming and sedative benefits. ● Fennel seed powder - rich in vitamins and minerals such as zinc, iron, potassium, calcium, magnesium, and selenium which will add proper nourishment to the skin. That said, this mask will not only nourish and beautify your skin, but it will hydrate it and bring out that glow you have always wanted. You will also be excited to learn about the other component of this eye care set, which is the Pearl and Honey Brightening Powder Mask. The Pearl and Honey Brightening Powder Mask is full of powerful and potent medicinal ingredients which have been used throughout Ayurveda history. ● Indian Fullers Earth - also known as Mitti Clay, is rich in minerals that our body needs such as zinc, quartz, and silica. It is an excellent exfoliator and improves the radiance of your skin. This Ayurvedic herb also controls oil production, heals and prevents acne and blemishes, fades scars and lightens your skin. ● Pulverized Sea Pearl Powder - a precious Ayurvedic ingredient rich in antioxidants that not only helps with collagen regeneration, but it contains so many health and skin complexion-boosting important minerals that most people do not receive. And, when the pearl powder and the Mitti Clay that are mixed together will bring that powerful glow to your face, which will also result in removing those dark circles under your eyes. All of the ingredients that make up the formulation of The Pearl and Honey Brightening Powder Mask are a powerful mix as they work well together in not only helping to nourish the skin properly but will remove dead and unhealthy cells from the face. And, they will help deliver that fantastic glow around the eyes, and will even remove those dreaded dark circles that no one wants to have under the eyes. 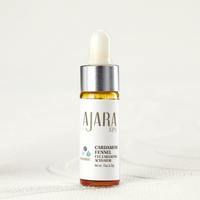 And, in order to make this mix even more powerful, you will need to also use the Fennel Cardamom Intensive Eye Activator. ● Cardamom - one of the important key ingredients used in this formulation and is extremely rich in antioxidants, as well as in Vitamin C which helps repair damaged tissues, and helps improve complexion drastically. Cardamom also has anti-inflammatory, antiseptic and cancer-fighting properties. ● Fennel - when mixed with Cardamom and the other essential oils, it becomes a powerful composition which offers soothing and rejuvenating benefits to the skin. ● Organic Seabuckthorn Oil - helps bring out amazing glow to the skin. With these ingredients mixed together, it is designed to enhance the effectiveness of the masks. That is what will help it give you that soft and smooth facial look. However, that is not all that is included in the Ajara Complete Eye Care Ritual Set. Another formulation that is included is the Tulsi Mint Tonifying Gel which needs to be applied in order to enhance the effectiveness of the other formulations. The Tulsi Mint Eye Gel is an important component of this eye care set because after using the mask, your skin may feel temporarily irritated due to the treatment. This gel delivers that cooling and soothing feeling that you are going to need of the mask treatment. Most people know about the benefits that green tea and aloe vera provide as they are loaded with rich antioxidants and help keep your skin nourished, hydrated, and healthy. The chamomile, licorice, sage, and the other mint oils will help bring you that cooling and calming feeling as well, in addition to other nutritional benefits to the skin. And, the one Ayurvedic medicinal herb that you may not know much about is the Gotu Kola leaf extract. According to Stylecraze, Gotu Kola is an herb that has been used throughout Ayurveda history to not only reverse aging of the skin, but it has potent antiseptic properties. It also has been known to heal wounds and burns, treat fatigue, and helps to improve blood circulation. This is why Gotu Kola is one of the key ingredients that are in the composition of the Tulsi Mint Eye Gel. However, there is one more component of the Ajara Complete Eye Care Ritual Set that needs to be used that will intensify the effectiveness of the Tulsi Mint Eye Gel. And the next component is the Sandalwood Rose Eye Butter. You already are aware of the calming and sedating effects of lavender, and the beautifying effects of rose. However, ghee is also powerful for enhancing and cleansing the areas around the eyes. And sandalwood oil is one of the key ingredients that deliver so many benefits. According to NDTV Food, sandalwood oil has properties that drastically improve complexion, reverses aging in the skin, softens skin, and keeps it healthy because of its antiseptic and anti-inflammatory properties. These Ayurvedic medicinal herbs and oils are extremely powerful in this product, among others that you won’t want to miss out on an opportunity to drastically improving the health of your skin. If you want to drastically improve your skin around your eyes, and your eye area in general, then you will definitely want to treat yourself by getting the Ajara Complete Eye Care Ritual Set. Now, let’s talk about the overall benefits that you will reap from this product. ● Rejuvenation of the skin around the eyes - With the Ayurvedic ingredients combined, your skin around the eyes will come back to life, and it will be properly nourished. ● Eliminates the dark circles under the eyes - This set is also designed to remove those dark circles that anyone dislikes that are under the eyes, mostly thanks to the illuminating effects of the Sea Pearl Powder. ● Reverses skin aging - This set will restore the youthful appearance of your skin around the eyes especially, which can be effective in you keeping your youthful appearance. That means this product will reduce wrinkles drastically. ● Removes blemishes and acne - If you have problems with acne and blemishes on your skin around the eyes, this product will remove that, heal the pores, heal scarring, and prevent future outbreaks from happening. Dead skin will also be removed as well which can be an offender when it comes to causing blemishes. It also controls oil production which can also lead to outbreaks. ● Moisturizes your eyes and skin - You no longer have to deal with itchy and dry skin and eyes since this eye care set will be able to solve that problem for you. This product contains cooling, nourishing, and calming herbs that have been used throughout Ayurveda history, and you will feel refreshed and hydrated after using it. ● Delivers a beautiful aroma - These ingredients mixed together smell wonderful, and the scent is not too strong either. This aroma is also very calming and relaxing. ● Confidence-boosting - This product will stop you from feeling self-conscious due to having dry and itchy eyes with aging skin around it, with the dark circles underneath. With the youthful appearance and the healthy glow that you will experience after using the product, you cannot help but be proud and feel great emotionally. ● Cruelty-free - This product has not been tested on animals, and this is one huge benefit that comes with this product. These are the overall benefits that you will reap from using the Ajara Complete Eye Care Ritual Set. Let's now find out how to use this product. In order for you to get the most of the Ajara Complete Eye Care Ritual Set, there are a set of instructions that you must follow. Otherwise, you will not be reaping all of the benefits that they have to offer if you miss any of these important steps. Now, let’s talk about what you need to do in order to experience the best from this eye care ritual set. The first thing you must do is get into a peaceful state and relax. You can listen to soothing music or do some meditation. Put some water in a pot and start to boil it. And once you are calm and relaxed, and that the water is boiling, then you are going to want to take two Cucumber Lotus Rejuvenating Eye Mask sachets. Then take some of the boiling water in a spoon or a cup and lightly drop some of the water onto the sachets, just enough to get it wet. Then take something to cover it, and allow it to sit for 5 minutes. Once that time is up, then take the wet sachets and put it in the fridge for 5 minutes. 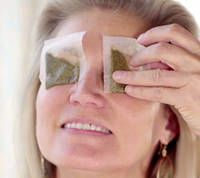 After the sachet has cooled down, place each sachet on your eyes. Then sit there for 10 minutes, and allow it to soak, and enjoy the calm sensation! And your tired and irritated eyes will begin to feel hydrated and rejuvenated in no time. And, the skin around your eyes will also be nourished and moistened. Here is one thing to note. If you find that one of the sachets or both are dry after taking it out of the fridge, be sure to moisten it up again with cold water before placing it on your eyes. After enjoying the soak for the last 10 minutes from the Cucumber Lotus Rejuvenating Eye Mask, then you will want to continue on with this amazing and nurturing ritual. Take one half of a teaspoon of the Pearl and Honey Eye Brightening Mask that is in a powder form and add a few drops of Cardamom Fennel Activator into it and mix it. Then add a teaspoon of water into the mix. You will find that it will turn into a substance with a creamy texture, and then take your fingers or a brush and put it to your eyes. Make sure that it borders your eyelashes, and allow it to sit for 10 minutes before washing it off. Your eyes and areas around the eyes have been thoroughly cleansed, hydrated, and nourished, and they probably feel wonderful and fresh. And, the last thing you will want to do is allow any environmental damage to ruin your eyes and skin. The sun’s UV rays, bacteria, and dust particles can easily disrupt the current condition of your eyes and skin in a negative way! This is why you will want to apply the Tulsi Neem Tonifying Eye Gel. This will not only help get rid of those dark circles and sagging skin under your eyes, but it will keep your eyes and skin safe from any environmental offenders. And, it will give you that cool and fresh feeling. Be sure to gentle put a drop of the Tulsi Neem Tonifying Eye Gel around the whole eye area, and you will want to do this twice each day. And, at night after doing the second round, be sure to add some of the Sandalwood Rose Eye Butter after. This is the final step that comes with this eye care ritual set, and take out the Sandalwood Rose Eye Butter. Make sure that your skin is still moist, and dab some of the Sandalwood Rose Eye Butter onto your eye area, and massage it around gently so it becomes absorbed by the skin. You can also use the Kansa Wand to do the massaging if you prefer. Do not wash it off, as the skin and pores need to absorb it in order to get the benefits that it will deliver overnight. Then you will be able to wake up with your eyes feeling refreshed and your facial skin feeling and appearing lively! In order to take proper advantage of the benefits that comes with using the Ajara Complete Eye Care Ritual Set, it is important that you follow these steps properly. However, before you buy Ajara Complete Eye Care Ritual Set, you can take few considerations into account. The Ajara Complete Eye Care Ritual Set is the answer for you to have healthy, radiant, and youthful skin around the eyes, as well as it is the solution for getting rid of the eye- itchiness and dryness. However, this product is not going to be ideal for everyone. If you are planning to get pregnant, or are pregnant, or breastfeeding, it is not recommended that you purchase this product. There are ingredients that are not safe for pregnancy or lactating mothers. Additionally, be sure that you do not have an allergy to any of the ingredients in this eye care set. You can always do an allergy patch test or get a referral to an allergist to make that determination. If you are taking any medications, be sure to talk to your doctor before purchasing this product as you do not want to take a risk with experiencing interactions. If you use this product and you develop hives or rashes, then you must discontinue using it. Additionally, keep this product away from small children and pets. If there has been an accidental consumption by either, be sure to call poison control or your local emergency veterinarian. 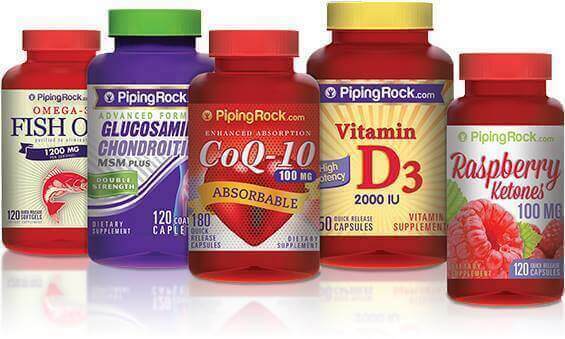 This product is not meant to treat, prevent, or cure anything, and do not replace any prescribed medications with this product. And, if you are aware of these risks, but you want to know about what alternatives there are to the Ajara Complete Eye Care Ritual Set, you will be able to find out right now! If you are wanting to know about other eye care sets, then here are 3 of the Ajara Complete Eye Care Ritual Set alternatives that you can now learn about. LA PURE 24K Gold Eye Treatment Mask - This product involves similar steps that you need to take for the Ajara Complete Eye Care Ritual Set to be effective. This product does contain some important vitamins and minerals, but it also is not 100% pure whereas the Ajara Complete Eye Care Ritual Set is only made with a special Ayurvedic formulation. This is what makes this set so pure, highly effective and unique. Organys Eye Cream Anti Aging Moisturizer - This product helps to remove dark bags and circles under the eyes, and it is made of many natural ingredients, but the manufacturers are also not completely transparent all of the ingredients that are in the product. And, it is also known that there are no unique Ayurvedic ingredients in its formulation which is what makes the Ajara Complete Eye Care Ritual Set a prize! Baebody Eye Gel - This product is meant to remove dark circles under your eyes, and to get rid of dry and itchy eyes. However, there is not a lot of information about the ingredients in this product other than the fact the company claims that it is cruelty-free. That is most definitely important but transparency is what will convince a customer to purchase any product or not. That is something you do not need to worry about with the Ajara Complete Eye Care Ritual Set. Now that you know about 3 of the Ajara Complete Eye Care Ritual Set alternatives, let's find out where can you buy one for yourself. The Ajara Complete Eye Care Ritual Set can be purchased from The Ayurveda Experience website for $99.50, reduced from $136.00. With every purchase you make at this website you can accumulate rewards, which can be used for future purchases. In addition, you can take advantage of any promotional discounts and offers this store is currently running. Be sure to subscribe to their mailing list so you are in the loop about future deals, discounts, and events that you will not want to miss out on! If you have been suffering from dry and itchy eyes, dark circles, sagging skin, and a poor complexion around your eyes, you no longer need to struggle to find the right eye care set that will deliver the benefits you have been looking for. That is because the Ajara Complete Eye Care Ritual Set is made up of unique Ayurvedic ingredients that have been practiced throughout Ayurveda history to treat various skin and eye ailments, among many others. There is nothing artificial in this product, and it is cruelty-free. That said, you can finally have cool, moistened, sparkly, and youthful looking eyes with the surrounding skin appearing to be radiant and bright. That is only after following a simple 4-step set of instructions on a consistent basis in order to achieve that. The Ajara Complete Eye Care Ritual Set is made up of a set of unique Ayurvedic formulations that will not only brighten your eyes and the surrounding areas but will comfort, nourish, and cleanse them, unlike any other eye care set can. Don't delay and go get the Ajara Complete Eye Care Ritual Set today so you can finally thrive and feel much better overall. You deserve it.